Dr. Martin Luther King, Jr. and his legacy of strength, resilience and compassion are a worldwide touchstone of civic responsibility and action. 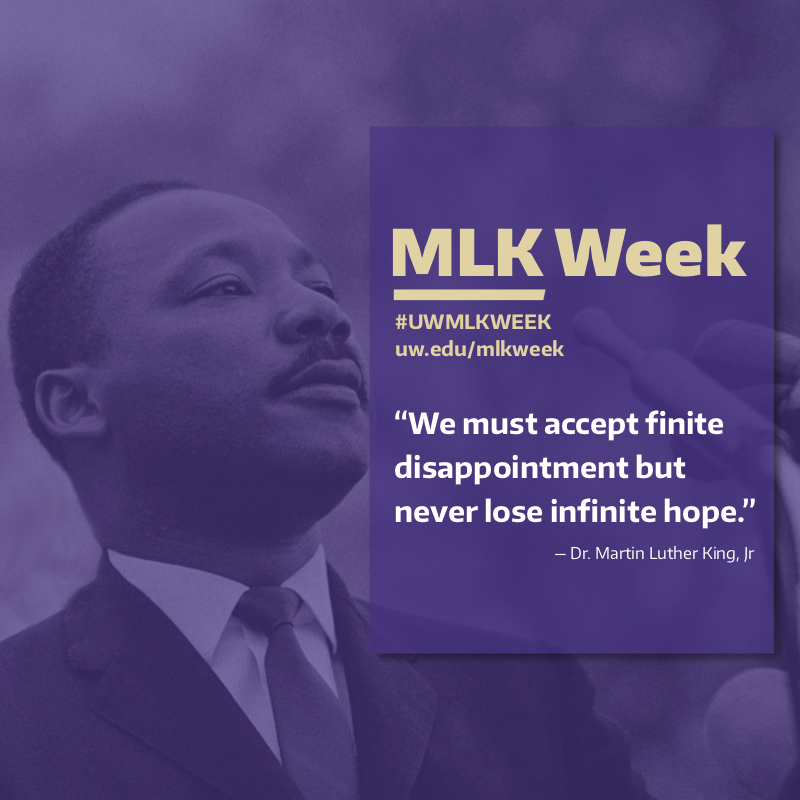 This January, we invite you to honor his memory and the contributions of others who stand for justice by participating in University of Washington’s MLK Week. The week includes opportunities to roll up your sleeves and serve, be inspired by performances, learn about race and democracy, bear witness to artifacts from justice movements, and more. 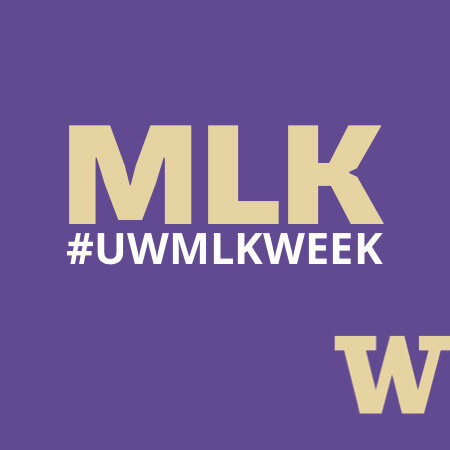 Help us spread the word and carry on Dr. King’s legacy by sharing information about MLK Week events — scheduled between January 14 and 21 — with your UW communities. The legacy of Dr. Martin Luther King, Jr. and the civil rights struggle he has come to represent is alive in the art, advocacy and service work of modern-day social-justice warriors. 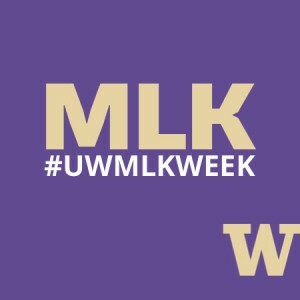 UW MLK Week honors the history of these movements while offering space to explore and celebrate current justice work. 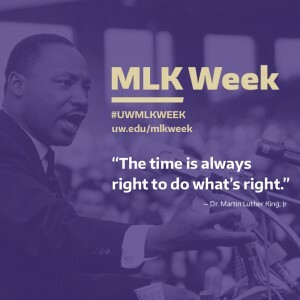 Dr. Martin Luther King, Jr. and his legacy of strength, resilience and compassion are a worldwide touchstone of civic responsibility and action. 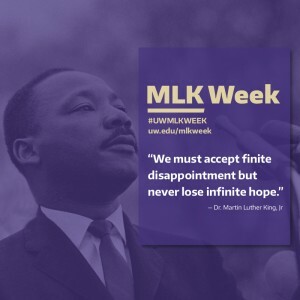 There are lots of ways to honor his memory and celebrate the contributions of others who stand for justice by participating in University of Washington’s MLK Week. 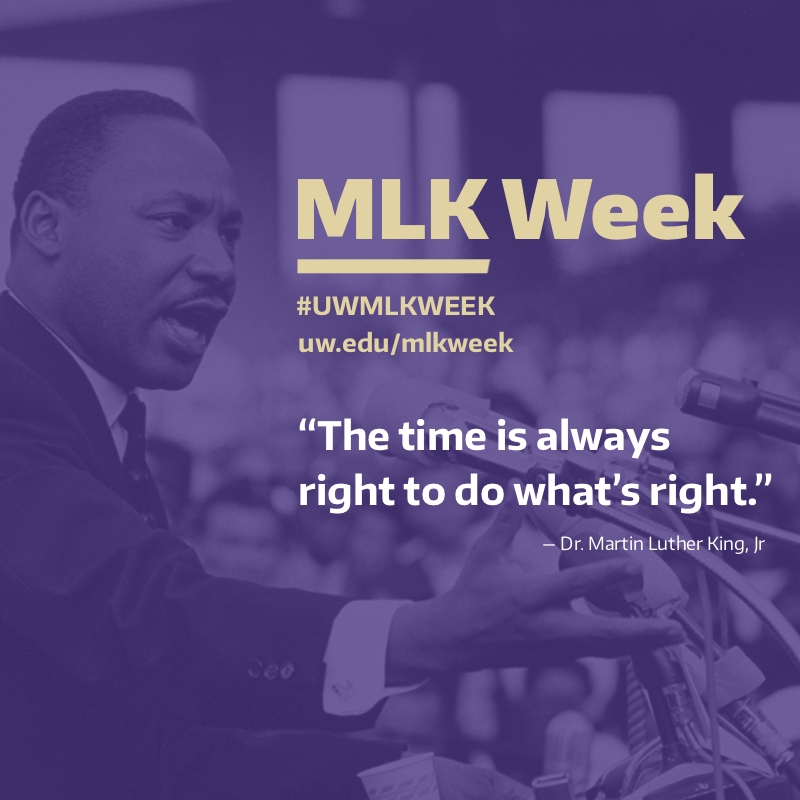 Share how you’re marking the holiday at #uwmlkweek.